As children, my sister and I used to love to eat green mangoes with pepper and salt. These days I can't seem to absorb so much of the acid from the green mangoes but I looooove ripe mangoes. 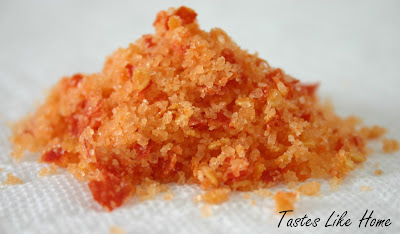 Recently I bought some half-ripe mangoes, pounded hot chillies and coarse sea salt, mixed them together and oh man, it was so good! 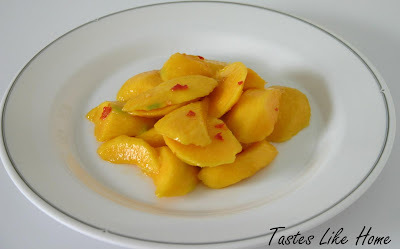 The sweetness of the mango was heightened and constrasted pleasurably with the salt. The pepper offered lingering notes of heat.